Amazon Prime is the best thing that’s happened to shopping since the Internet was invented. 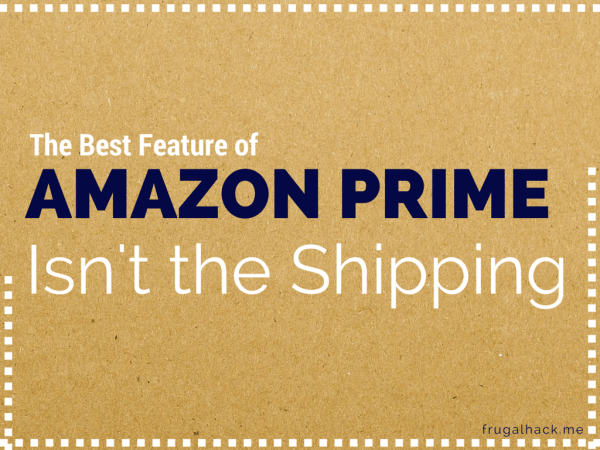 The shipping, the video, the deals, it’s hard to beat! Seriously, I don’t know what I would do without it. There is, however, one lesser known perk to Amazon Prime that dwarfes all the others. Okay, that’s not entirely true. I don’t know if I would pay $99 a year solely for this feature, but it is a nice addition to the Prime suite of benefits. The perk I’m talking about is the Amazon Cloud Drive. Disclaimer: There is an affiliate link below for Amazon Prime. Amazon’s Cloud Drive is a relatively new addition to the Prime family. I’m talking only 4 months old [since it was added as a Prime benefit]. Because of its newness, not many people know about it and/or are taking advantage of it when they really should. After all, it’s a free benefit for Prime users. Amazon gives you the ability to access your Cloud Drive from anywhere, since they offer mobile apps, desktop apps, and a web app. There’s no more need to search through photos on different devices to find a photo. Instead, you have access to your whole photo collection at your fingertips. Amazon deals with billions of customers, products, orders, photos, and more. C’mon, it’s Amazon. You know it’s going to be safe and secure. Don’t worry about remembering another login, your Amazon Cloud Drive uses the same login information as your regular Amazon account. I realize this doesn’t make a huge difference for those with LastPass, but it is nice. Amazon offers automatic photo uploads if you use their mobile app. I’d say 80% or more of my photos are taken with my cell phone, which makes this feature invaluable. It’s not hard to tap a few icons and upload your mobile photos, but having it automatically upload in the background saves a good chunk of time. It’s, by far, one of my favorite features of the Cloud Drive. This is a relatively new feature that allows you save any image to your Cloud. All you do is install an extension on your browser, then right-click on the image you want to save and save it. It’s pretty nifty. There are a number of reasons to use the Amazon Cloud Drive, most of which are listed above, but frankly why not use it? It’s extremely easy to set up and if you take a lot of mobile photos, it’s completely autonomous. I don’t know about you, but when I travel, I take pictures of everything. Memories live on forever, but it’s nice to spark a memory with a well-timed picture. So, it’s important to me that I have my pictures safe and secure. It also doesn’t hurt to have them readily available at all times… on the cloud. If you already have Amazon Prime, you can head over to the Cloud and sign-in to your account. If you don’t have Prime and you want to try this out, you can with this free 30 day trial . If you’re a student and you don’t have Prime, you can sign-up for a 6 month trial. Have you used Amazon’s Cloud Drive? How do you like it?